There are certain types of foods which give you a feeling of gas, pain, bloating, abdominal distension, abdominal pain, and diarrhea. This can be because of Fodmaps foods that cause such symptoms. So, What is the Fodmap diet? Here is everything that you need to know about the low Fodmap diet Indian Version ( Fodmap India). The wedding season is on. Experiencing a heavy stomach, bloating, uneasiness or any gastrointestinal (GI) disturbance is very common. This is because of the high calorie, sugary and fried foods. But sometimes even without eating outside food, you experience the same feeling day in and day out. Let us find out the reason behind this. The low Fodmap diet Indian Version ( Fodmap India). These Fodmap foods (sugar molecules) are not digested and lead to fermentation at the base of large intestines. In this process, there is an absorption of water and the release of carbon dioxide, hydrogen, and methane gas. These are the culprits of GI symptoms. Oligosaccharides: Wheat, rye, legumes, and various fruits and vegetables, like garlic and onions. Disaccharides: Milk, yogurt and soft cheese. Lactose is the main component. Monosaccharides: Fruit like figs and mangoes, As well as sweeteners such as honey. Fructose is the main component. Polyols: Certain fruits and vegetables including blackberries and lychee. Some low-calorie sweeteners like those in sugar-free gum. A low Fodmap diet refers to a temporary diet that has a very low amount of food compounds called FODMAPs. These foods are eliminated or restricted for 3-8 weeks and then gradually reintroduced into a low-FODMAP diet. Slow and gradual reintroduction of restricted food one by one helps to check which food has caused the GI symptom. Who can use the FODMAP diet? Small intestinal bacterial overgrowth (SIBO) is most beneficial. The professionals will advise a low FODMAP diet for these conditions as a part of treatment. Reduced Digestive symptoms: Studies show that a Low Fodmap diet significantly relieves 80 % of IBS symptoms of stomach pain and bloating. Whereas few other studies show low FODMAP diet help IBS patients to live symptom-free. It also helps reduce constipation, flatulence, and diarrhea. Increased quality of life: The overall quality of life is enhanced by a low FODMAP diet. Studies show there is an increase in energy levels of individuals with IBS with a low FODMAP diet. Read – Weight gain diet plan for IBD patients. – Indian diet plan for Ulcerative Colitis patients. Restriction: This stage involves strict avoidance of all high-FODMAP foods. This lasts for about 3–8 weeks. Some people notice an improvement in symptoms in the first week itself, while some patients might take time. Once all of the digestive symptoms subside you can proceed to stage 2. Reintroduction: This stage involves systematically reintroducing high-FODMAP foods. The purpose is to identify which types of FODMAPs you can tolerate. Few are sensitive to all of the foods on the list. You determine your threshold level of FODMAP in this stage. Introduce high FODMAP food one by one every 3 days. Professional guidance is mandatory in this stage. This method will help to check which food is the main culprit for the symptoms. Once you are aware of what suits your body and what not, Then you can proceed to stage 3. Here you can personalize the diet with professional help. Personalization: This stage is the “modified low-FODMAP diet.” Here the intolerant food is restricted completely. Whereas certain foods that can be tolerated in small amounts are adjusted accordingly. This stage gives you more variety and flexibility in day to day life. For personal consultations mail us at care@dietburrp.com and see this page – diet services. Dairy and Non-dairy Milk Products Brie, Camembert and feta cheese, almond milk, rice milk as well as coconut milk. Let us now see a sample diet plan of the Low Fodmap diet Indian Version. This Low Fodmap diet plan Indian version belongs to stage 1 which is a restriction of fodmap foods. You can follow this stage for 1 week or more. And then move on to the next stage simultaneously. When to follow the Low Fodmap Diet Indian Version? 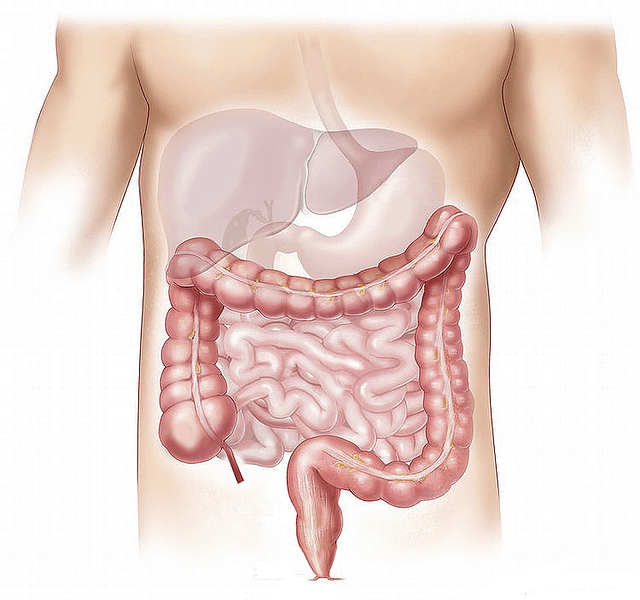 Have ongoing gut symptoms even after prolonged treatment. Don’t forget to subscribe to our YouTube channel. Subscribe now. A Low fodmap diet Indian version is a life-changing diet for the people suffering from digestive problems since a long period of time. It sure makes life simple, improves quality of life and gives a positive outlook to people. Hi I am so pleased to finally see a good FODMAP diet plan which suits my indian needs so well. Thanks a lot! I was wondering if you have recipes for some of the recipes you listed there like oats and olives uttapam, is that made from semolina? How to make quinoa oats khichdi? Hi Harman , thanks for your kin words . we will be posting these recipes soon . Thank you for this! Looking forward to some recipes. Hi, thanks for this information. How about idli/dosa and urad dal vada etc South Indian foods? Are these low fodmap? rice is ok to have , but urad dal can be had only up to 1/2 cup a day .. so can manage the quantity of idli or dosa accordingly. you can have rawa based items . I one issue, as we all do. In a country where the core of any meal is roti…wheat based how can we get around that? What’s the alternative to roti…is there any special wheat mix or alternate option? Hi Siddharth , although wheat needs to be avoided in this diet , but you can opt for rotis made from alternate grains like bajra , rice flour, ragi flour.